It’s all about entertainment, baby, and consumers of all ages are loving today’s visuals in content marketing. We’re talking about how social media has changed the way marketing pros must be creative to reach their customers. Emojis, memes, and gifs are three must-haves in content marketing strategy and are more prevalent than ever before. Who would have thought that three oddly spelled words would become instrumental in entertaining, engaging and selling? And the message has to be relevant and right now. It’s the social media name of the game and if you want to win, get to know your three new marketing BFFs. Emojis, are small digital images used to express an emotion or idea and have evolved into a major cultural phenomenon. They are now the “fastest growing language” of all time and have become so common they’ve taken on a life of their own. As a matter of fact, they are so mainstream Hollywood created an entire movie, “The Emoji Movie” named just for them. In addition, one of the most used emojis, the face with tears of joy” was named Word of The Year back in 2015. It’s not even a word! That says it all. 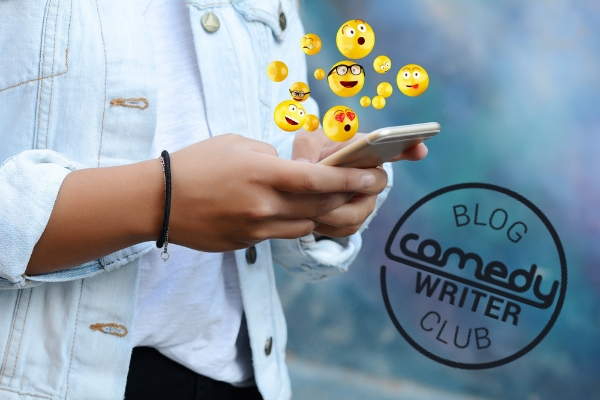 No spelling needed, just a little symbol, whether it’s a smiley face, a pile of poo (yes, a pile of brown poo smiling back at cha), thumbs up, broken heart or any of the hundreds of emojis that are being used in texts, movies, billboards and in content marketing, yes content marketing. A meme, (rhymes with team) is usually a photo or video with a caption that is funny and relatable. The internet meme is any fad, joke or memorable piece of content that spreads virally across the web. But for marketers, more importantly, it grabs peoples’ short attention spans. Memes are visual and can bring personality to your brand and product if they are relevant and on trend. They are shared throughout social media and if they go “viral” can reach millions of people throughout the world. You’ve seen them. A photo of handsome Leonardo Dicaprio holding a glass of wine, with the text, “Cheers”, a cat video that makes you laugh or the Ice Bucket video challenge that went viral a few years ago. Memes are usually humorous, contain shock value and are most importantly hit a funny bone or nerve. Marketers who create memes should keep current and pay attention to cultural trends, especially if they affect your target audience. A large budget or creative team isn’t necessary to create a successful meme. There are apps and online meme creation sites that help you customize your very own. The sky is the limit with a creative meme or two and marketing professionals are soaring into this very popular and effective and messaging tool. Gifs, short for Graphics Interchange Format (say that three times fast) were developed all the way back in 1987. Today, gifs are wildly popular thanks to consumers’ short attention spans, love for visual messages and addiction to social media. They are usually created with a photo or video and some clever text. Gifs are entertaining, easy to create and shareable on social media platforms. Gifs are short and sweet and even better, they are usually funny. Most gifs are only a few seconds long and run in a loop, so viewers can enjoy them over and over again. This is perfect for content marketers because, our culture loves to be entertained, instead of being sold. Memes are an effective, very visual and creative way to get the word out about a brand or product. Big business recognizes the importance of using gifs in their marketing to engage their customers and spread the word about their companies. Whether it’s Taco Bell creating a cartoon video of someone painting tacos on their fingernails, Nike showing their famous “Just Do It” sneakers jumping up and down or McDonald’s sharing a scene with Ronald McDonald playing the electric guitar, Gifs are playful and fun and should be added into your content marketing strategy. Writer Access has a team of expert writers and marketing professionals who can get you started on your road to gif success as well as all other marketing content needs. Susan W keeps her target audience in mind and writes a creative, clear, thoughtful piece. She has written hundreds of news articles, newsletters, informative letters, blog posts, emails, social media posts, magazine articles, news releases, executive speeches, promotional articles, catalog copy, web site copy, headlines and radio scripts. She researches and writes SEO friendly articles, using the best writing style for the article and audience. She has a “flair” for word combinations that promote and entertain. Whether the article is “short and sweet” or “long and lengthy” Susan’s style keeps the reader engaged and interested.